THE 15th day of the eighth month on the Chinese lunar calendar is the traditional Chinese Mid-Autumn Festival, also a day, of reunion with family members as the moon on that day, without much clouds around, seems brighter and bigger than usual, symbolizing family reunion. Before Mid-Autumn Festival, there are two solar terms – the White Dew, and the Autumnal Equinox, that forecast the drop of temperature in the following days, as water vapors condense into white dew on flowers and leaves at night. From then on, though the temperature in the day is high, cool breezes blow at night. It is colder and chilly when it is raining. In ancient times, there was a custom of moon watching on Mid-Autumn Festival, as well as ceremonies of greeting the beginning of autumn, and worship of the moon. The custom became popular in the Tang (618-907) and Song (960-1279) dynasties. Seasoning fruits like apples, grapes and watermelons, together with mooncakes, were often served on a table with incense burners, and watermelons were cut into the shape of lotus petals. During the Ming and Qing (1368-1911) dynasties, the celebration was added with new activities such as sky lantern releasing, fire dragon dances, drinking sweet scented osmanthus wine, and worshiping the Rabbit God. From the reign of Emperor Qianlong to Empress Dowager Cixi in the Qing Dynasty, emperors and queens would worship the moon at the imperial palaces during the festival no matter when they resided in Chengde Mountain Resort, the Old Summer Palace, the Summer Palace, or the temporary dwelling palaces on the way to Muken (former name of Shenyang in Liaoning Province) where they worship ancestors. It was also a traditional custom for the nobility and aristocrats to worship the Rabbit God. There were various colors and shapes of clay sculptures and the most exquisite artworks were often sold at the Old Dong’an Market or on the fair of Longfu Temple and Huguo Temple. Mooncakes were a must at the festival with ham filling and five-nut filling along with Jiangsu and Guangdong styles, although local brand mooncakes were the favorite for Beijingers. Fruit stalls could be seen everywhere at Dongdan, Xidan, Xisi, Tianqiao, Qianmen Street, Di’anmen Avenue, and Gulou, selling grapes, pears, pomegranates, crab-apples, jujubes, and sweet melons. Some were open 24 hours a day. 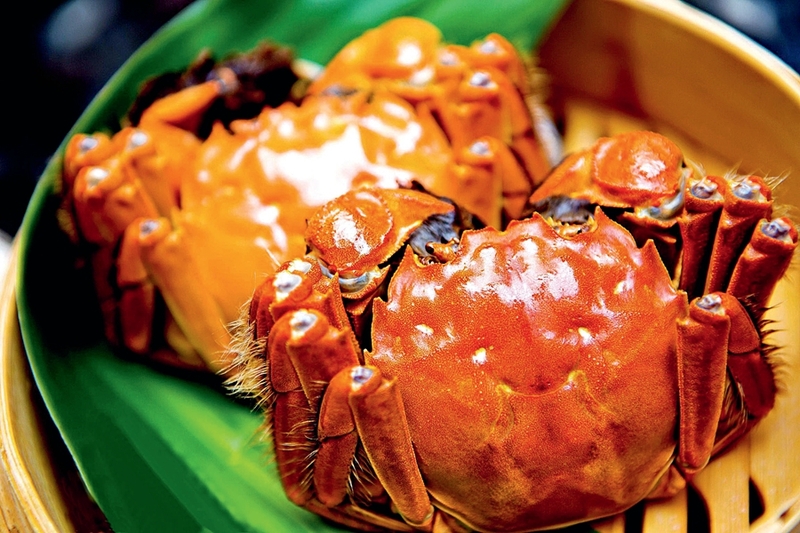 Two delicacies recommended for the Mid-Autumn Festival are steamed crabs, and fried lotus roots. The first dish needs 10 fresh crabs, some rice wine, and a dish of dipping juice including ginger juice, sesame oil, rice vinegar, and light soy sauce. Wash the crabs and steam them for 10 minutes with sprinkled rice wine, and then eaters can enjoy them with the dipping sauce. 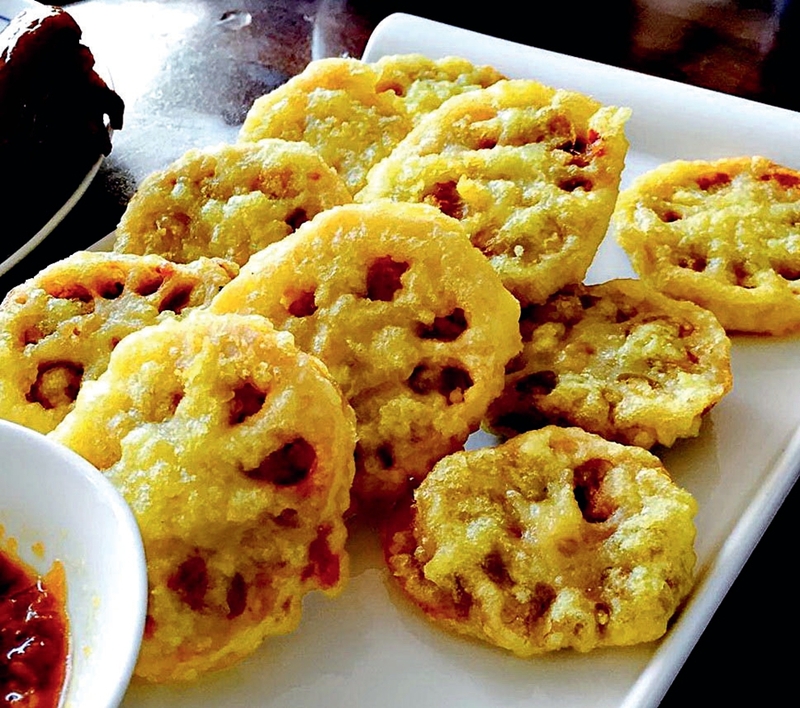 For the second dish, it needs 500 grams of peeled lotus roots, which is cut into pieces of coin thickness. Mixed with soy sauce, sesame oil, salt, chopped scallion, and ginger, the meat stuffing is put in the middle of two lotus-root pieces. Wrapping on the paste mixed by 250 grams of flour with baking soda and vegetable oil, they are deep-fried till they turn golden. Diners can enjoy them with flavorings, such as pepper and salt. TONG CHANGYOU is a Beijing Cuisine master and member of China Cuisine Association and the Beijing Cuisine Association.